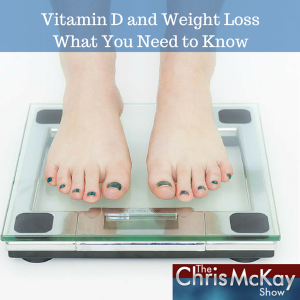 Chris talks about new information that suggests a lack of Vitamin D could be derailing your best efforts to lose weight. … and what you can do to make sure you’re getting enough D every day! but did you know vitamin D may actually help you lose weight too? A new study presented at the European Congress on Obesity suggests that for people who are overweight and low on vitamin D, supplementing the sunshine vitamin may help with weight loss. The study followed 400 overweight and obese people with a vitamin D deficiency for six months. Everyone in the study was put on a low-calorie diet and divided into three groups. The first group took no vitamin D supplements. The second group supplemented 25,000 international units, or IUs, of vitamin D per month. That’s about 800 IUs per day. and the third group took 100,000 IUs a month or about 3,200 per day. After six months, the two groups who took vitamin D lost more weight and more inches than the first group. We’ve known from prior research that a vitamin D deficiency is associated with a higher risk for obesity and related complications. But this is the first study of it’s kind to show the benefit of taking vitamin D as a weight loss aid for overweight people with a “D” deficiency. This study also suggests that vitamin D enhances the benefits of a reduced calorie diet. So how many people are low on vitamin D? It’s estimated that 1 billion people worldwide have inadequate levels of vitamin D. Even though our bodies can produce vitamin D from sunlight, many of us simply aren’t getting all we need on a regular basis for several reasons. One reason is age. As we get older our body’s ability to synthesize vitamin D decreases making it harder to meet our daily requirement. People who have a darker skin tone and those who are overweight may also struggle to make enough vitamin D from the sun. Another reason, more people are staying indoors and when they do get out in the sun, they use sunscreens which are designed to block the sun’s harmful rays. But these sunscreens also block many of the ultra-violet rays we need to produce vitamin D.
What about getting D from food? 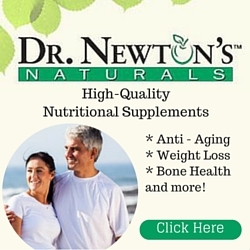 While it is true that vitamin D is found in dairy products and other foods. For those of us who are lactose intolerant or on certain diets vitamin D can be really tough to get from the foods we eat. So if we’re not getting enough from the sun or our diets what is the answer to getting the additional D we need? The answer is supplementation. and….it may even help you _**lose weight**_ when combined with a reduced calorie diet.